← Make your own fabulous Christmas Wreath! Take two frying pans or woks, add a tablespoon of oil to each wok, and heat until the oil is hot. In the first wok add the sweet corn and stir fry for a few minutes before adding the mangetout, prawns, grated ginger, and crushed garlic, then cook for a further 2 minutes. As this is cooking add the noodles to the other wok and stir fry for a minute. 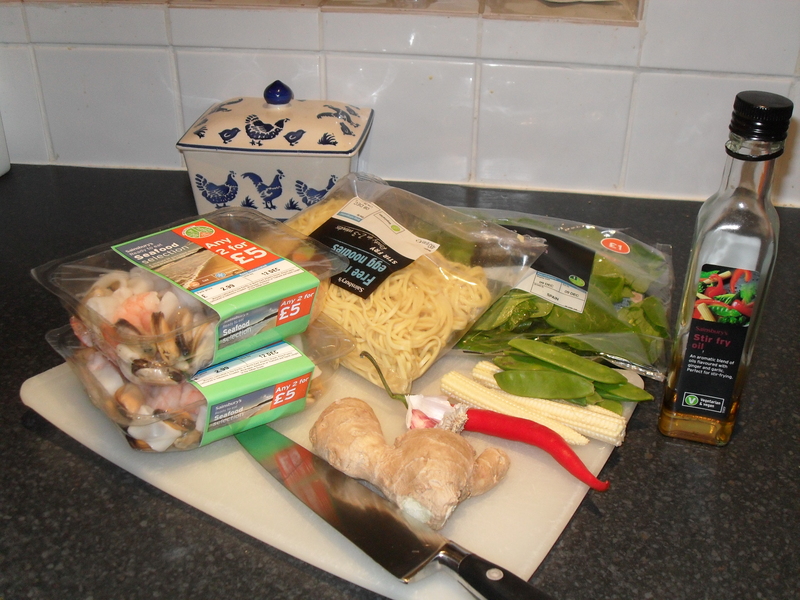 Add a dash or two of Nam Pla sauce to the fish and veg wok and quickly throw in some spinach leaves to wilt. Finally add the cooked noodles to the other ingredients, quickly stir everything together, pour into two bowls and sprinkle with coriander. Eat immediately and serve with a large glass of chilled white wine!! If you’d like some more speedy/easy recipes I highly recommend Nigella Lawson’s Scallops and Chorizo recipe. You can either click on the link and type in scallops and chorizo or it can be found in her book, Nigella Express on p153. I’m also a huge Nigel Slater fan and particularly love his Roast Chicken with Basil and Lemon on p89 of his Real Food book. With both recipes you can increase measurements if you wish to cook for a larger number of people. And lastly, for the ultimate speedy supper Banquet in a Box provide delicious food for any occasion – perfect for the non dinner party cook!! 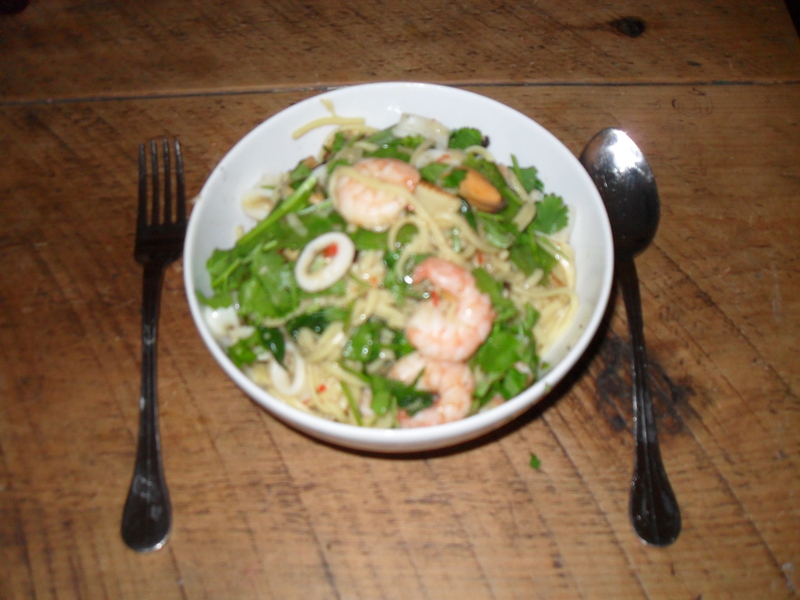 This entry was posted in Cooking and tagged Chopped (TV series), Chorizo, Cooking, Fish and Seafood, Home, Master Chef, Nigel Slater, Nigella Lawson, Soy sauce, stir-fry, Tablespoon. Bookmark the permalink.